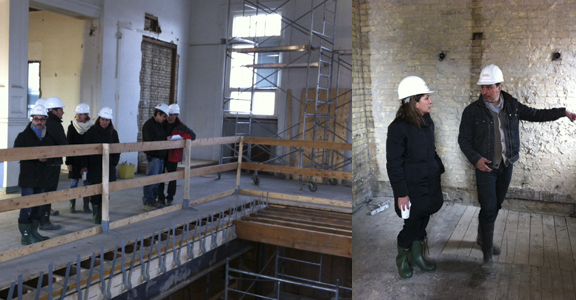 Our City Councillor Ana Bailão dropped by to tour our new home at 1115 Queen West recently – we were excited to share the construction progress with her. Thank you for your enthusiasm and support of this project, Councillor Bailão – you can visit any time! 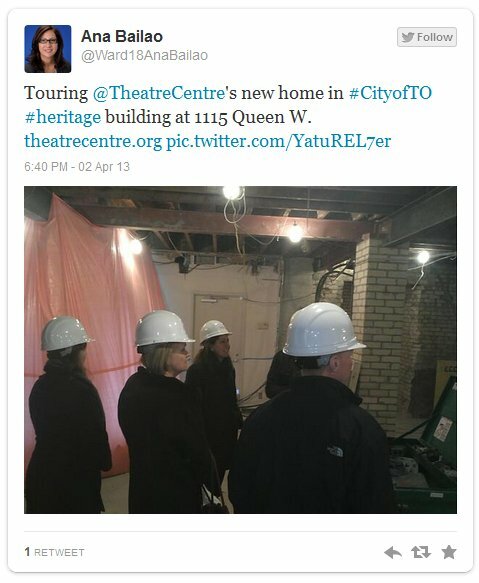 Below: Councillor Ana Bailão, Lori Martin (Senior Cultural Affairs Officer, Toronto Culture) and Luis Medeiros (OMNI News: Portuguese Edition Reporter) join Franco Boni and the construction team for a tour of The Theatre Centre’s new home at 1115 Queen West. Photos: Kevin Helfand.